Editor’s note: The genesis for this interview came about following a rather unsatisfactory experience with a solar contractor I hired to put a PV system on my roof. The contractor, who calls himself the “Solar Guy”, put the system together but failed to close the deal with HECO. Essentially after the system was on the roof and he cashed his check and informed me that “someone” from HECO would soon come to replace my existing analog meter with a digital unit. That “someone” never showed up because HECO needed documentation from the contractor to establish that the job had been completed. Six months later, I wondered what became of the HECO guy who was supposed to put in that digital meter. I called HECO and was told that they hadn’t received any documents from the contractor. I followed up with Mr. Solar Guy who said he wouldn’t be able to help me and that I needed to hire someone else to finish the job. 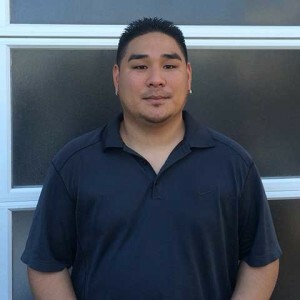 He referred me to Mike Tanuvasa, founder of SolarTech Industries, a Honolulu-based PV and solar heating company. Mike essentially picked up the pieces that the Solar Guy had left on the floor. The lesson for the prospective PV customer is that setting up a solar system is much more than simply putting panels on a roof. There are permits that need to be approved by the city and ever changing rules from HECO that need to be followed. You will need somebody that understands the system to help shepherd your project through the bureaucracy. That’s where a competent, thoughtful contractor such as Mike Tanuvasa, is invaluable. The following Q&A with Mike will be instructive to anyone who is interested in putting in a PV system. Q: How do you choose a good contractor? How would check on their credibility? A: You should always ask your installer to show you a timeline on how they will execute your installation from start to finish. From the pre-construction inspection to the closing of your permits, you should know every step of the way what to expect next. You should also ask your installer what type of warranty and maintenance packages they offer for your photovoltaic system. Online reviews are a good way to check if a company is credible or not, but it’s always best to have a full understanding of what an installation company is offering before signing up with them. Hawaiian Electric is constantly updating the requirements that are necessary before you can even consider installing a photovoltaic system. Make sure your installation company knows exactly what is required in order to complete this process. This system on Wilhelmina Rise combines PV with solar heating, which Mike recommends in this post Net Metering era. Q: Does it matter what size company you engage with? Wouldn’t a smaller firm not have the overhead and expenses to tack onto your bill? A: Not necessarily. Smaller companies will usually offer more competitive pricing, but the size of a company shouldn’t be a deciding factor on who to choose. You want to choose a company that is competent in every aspect of your installation. Filing required applications, permitting, workmanship, monitoring, and maintenance of your system should all be considered when choosing an installation company. Q: How should you prepare your home prior to a PV installation? A: The integrity of your roof and the capacity of your existing electrical system should be the first thing to check on before considering a photovoltaic system. Q: When does it makes sense to replace the roof before purchasing the system? A: Your installation company should do a thorough pre-construction inspection of your roof before installing your system. This will determine whether your roof needs to be replaced. If you want a second opinion, it would be a good idea to have a roofer inspect the integrity of your roof before moving forward with the installation process. If you plan on reroofing your home within the next 7 years, it would make sense to replace your roof before installing a photovoltaic system. 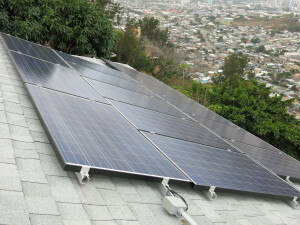 Some solar companies charge upwards of $150-$200 per panel to remove and reinstall your system for reroofing. Q: How do you evaluate the contract? What should be in there to protect you (the consumer). A: The warranty portion of the contract is very important. You should exactly what is covered in your warranty and for how long. A 5-year warranty on workmanship is an industry standard. Monitoring and maintenance of your system should also be considered. Your contract should also state that all proper permits are pulled before any work is performed on your home. NEM is gone. Time to shift gears and adapt to CGS. Q: Given that Net Metering Agreements are no longer available, is the newest solar program worth considering for homeowners? A: Solar will always be worth it for the homeowner in the long run. The big question now is how many panels will best fit my usage? To make PV work under the new (CGS) Customer Grid Supply system will mean installing (if needed) a separate solar water heating and a solar air conditioning system in conjunction with your PV panels. With these components, combined with a PV system, the average three bedroom home with a $400/month electricity bill could shave $250 per month. After tax credits and a possible rebate, the whole system will cost you about $9000. Q: What if you’re not ready for a PV system? Does it makes sense to have a solar water heater? A: Makes a whole lot of sense. A stand-alone solar heating system will save you 30-40% of your electricity bills. Q: Will I be totally off the grid with PV? A: No, this isn’t possible without a battery system. Q: Does the PV system work if the grid goes down? A: The PV system will not work if the grid goes down. 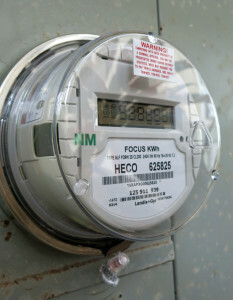 Q: How long should it take to complete a residential PV system from start to approval by HECO for my new meter? A: There’s no set amount of time it takes for a photovoltaic system to be installed. There are a lot of different factors that contribute to the amount of time it takes. 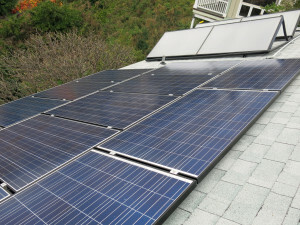 Grid saturation, system size, interconnection program, utility guidelines/requirements, and electrical upgrades will all play a roll in how long it takes to install your photovoltaic system. Understanding this process will make the homeowner’s experience a lot less stressful. PV over Palolo. Make sure your roof is in good shape before you put up panels. Q: How do you hold them to their schedule/commitment? If the homeowner is actively involved in the installation process, the installation company will be more likely to meet deadlines and complete the installation in a timely manner. Q: How do you know your contractor is buying quality gear? A: Buying quality equipment does make a difference. You also want to chose a Manufacturer that will be in business to honor your product warrant for the next 25 years. Your installer should have more than one type of panel and inverter for you to choose from. Brands like SolarWorld and Enphase are household names, but there are many more options to choose from depending on your price range. Q: How do you know that your system is being sized properly? (How large should the inverter be, how many panels etc). A: Your installer should give you a breakdown on how they calculated your electric bill. Under the CGS system you’ll need an energy audit to come up with the amount panels your system will need. Q: What about consulting with an engineer even though the county of Honolulu doesn’t require it? A: This shouldn’t be necessary unless your system is on a commercial building or over 10kW. Instead of consulting an engineer I would suggest consulting a local equipment supplier like R&R Solar Supply or Inter-Island Solar Supply. Q: What kind of operational manual/documentation should be available to the home owner? A: Product data sheets for equipment that will be used should be provided to the homeowner. More importantly, customers should be educated on how to use their online monitoring system to track the production of their system. Q: What kind of regular maintenance should a home owner be prepared to do? A: Actively monitoring their system will help ensure its production output. Having your installer perform a maintenance inspection on the system every 2 to 4 years will extend the life of your system. Cleaning your solar panels every 1-2 years will also help boost energy output. If your contractor goes out of business who do you call if you need service? Call a company that specializes in photovoltaic maintenance and repair. Choose a company that will actively monitor your system every day of the year and have technicians onsite in a timely manner. You should be able to enjoy all the benefits of solar without any of the headaches. Q: Can the county provide a full inspection if asked by the homeowner? A: The City & County will only perform the required inspection after the completion of your installation. Any additional inspections will need to performed by a third party company at the homeowner’s expense. 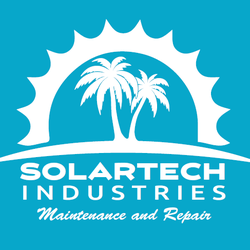 At SolarTech Industries we perform free photovoltaic and solar hot water maintenance inspections to all new customers.